The old civilisation of India was a concrete unity of many-sided developments in art, architecture, literature, religion, morals, and science so far as it was understood in those days. But the most important achievement of Indian thought was philosophy. It was regarded as the goal of all the highest practical and theoretical activities, and it indicated the point of unity amidst all the apparent diversities which the complex growth of culture over a vast area inhabited by different peoples produced. It is not in the history of foreign invasions, in the rise of independent kingdoms at different times, in the empires of this or that great monarch that the unity of India is to be sought. It is essentially one of spiritual aspirations and obedience to the law of the spirit, which were regarded as superior to everything else, and it has outlived all the political changes through which India passed. The Greeks, the Huns, the Scythians, the Pathans and the Moguls who occupied the land and controlled the political machinery never ruled the minds of the people, for these political events were like hurricanes or the changes of season, mere phenomena of a natural or physical order which never affected the spiritual integrity of Hindu culture. If after a passivity of some centuries India is again going to become creative it is mainly on account of this fundamental unity of her progress and civilisation and not for anything that she may borrow from other countries. It is therefore indispensably necessary for all those who wish to appreciate the significance and potentialities of Indian culture that they should properly understand the history of Indian philosophical thought which is the nucleus round which all that is best and highest in India has grown. Much harm has already been done by the circulation of opinions that the culture and philosophy of India was dreamy and abstract. It is therefore very necessary that Indians as well as other peoples should become more and more acquainted with the true characteristics of the past history of Indian thought and form a correct estimate of its special features. But it is not only for the sake of the right understanding of India that Indian philosophy should be read, or only as a record of the past thoughts of India. For most of the problems that are still debated in modern philosophical thought occurred in more or less divergent forms to the philosophers of India. Their discussions, difficulties and solutions when properly grasped in connection with the problems of our own times may throw light on the course of the process of the future reconstruction of modern thought. The discovery of the important features of Indian philosophical thought, and a due appreciation of their full significance, may turn out to be as important to modern philosophy as the discovery of Sanskrit has been to the investigation of modern philological researches. It is unfortunate that the task of re-interpretation and re-valuation of Indian thought has not yet been undertaken on a comprehensive scale. Sanskritists also with very few exceptions have neglected this important field of study, for most of these scholars have been interested more in mythology, philology, and history than in philosophy. Much work however has already been done in the way of the publication of a large number of important texts, and translations of some of them have also been attempted. But owing to the presence of many technical terms in advanced Sanskrit philosophical literature, the translations in most cases are hardly intelligible to those who are not familiar with the texts themselves. A work containing some general account of the mutual relations of the chief systems is necessary for those who intend to pursue the study of a particular school. This is also necessary for lay readers interested in philosophy and students of Western philosophy who have no inclination or time to specialise in any Indian system, but who are at the same time interested to know what they can about Indian philosophy. In my two books _The Study of Patanjali_ and _Yoga Philosophy in relation to other Indian Systems of Thought_ I have attempted to interpret the Sämkhya and Yoga systems both from their inner point of view and from the point of view of their relation to other Indian systems. The present attempt deals with the important features of these as also of all the other systems and seeks to show some of their inner philosophical relations especially in regard to the history of their development. I have tried to be as faithful to the original texts as I could and have always given the Sanskrit or Pâli technical terms for the help of those who want to make this book a guide for further study. To understand something of these terms is indeed essential for anyone who wishes to be sure that he is following the actual course of the thoughts. In Sanskrit treatises the style of argument and methods of treating the different topics are altogether different from what we find in any modern work of philosophy. Materials had therefore to be collected from a large number of works on each system and these have been knit together and given a shape which is likely to be more intelligible to people unacquainted with Sanskritic ways of thought. But at the same time I considered it quite undesirable to put any pressure on Indian thoughts in order to make them appear as European. This will explain much of what might appear quaint to a European reader. But while keeping all the thoughts and expressions of the Indian thinkers I have tried to arrange them in a systematic whole in a manner which appeared to me strictly faithful to their clear indications and suggestions. It is only in very few places that I have translated some of the Indian terms by terms of English philosophy, and this I did because it appeared to me that those were approximately the nearest approach to the Indian sense of the term. In all other places I have tried to choose words which have not been made dangerous by the acquirement of technical senses. This however is difficult, for the words which are used in philosophy always acquire some sort of technical sense. I would therefore request my readers to take those words in an unsophisticated sense and associate them with such meanings as are justified by the passages and contexts in which they are used. Some of what will appear as obscure in any system may I hope be removed if it is re-read with care and attention, for unfamiliarity sometimes stands in the way of right comprehension. But I may have also missed giving the proper suggestive links in many places where condensation was inevitable and the systems themselves have also sometimes insoluble difficulties, for no system of philosophy is without its dark and uncomfortable corners. Though I have begun my work from the Vedic and Brâhma@nic stage, my treatment of this period has been very slight. The beginnings of the evolution of philosophical thought, though they can be traced in the later Vedic hymns, are neither connected nor systematic. More is found in the Brâhmanas, but I do not think it worth while to elaborate the broken shreds of thought of this epoch. I could have dealt with the Upani@sad period more fully, but many works on the subject have already been published in Europe and those who wish to go into details will certainly go to them. I have therefore limited myself to the dominant current flowing through the earlier Upani@sads. Notices of other currents of thought will be given in connection with the treatment of other systems in the second volume with which they are more intimately connected. It will be noticed that my treatment of early Buddhism is in some places of an inconclusive character. This is largely due to the inconclusive character of the texts which were put into writing long after Buddha in the form of dialogues and where the precision and directness required in philosophy were not contemplated. This has given rise to a number of theories about the interpretations of the philosophical problems of early Buddhism among modern Buddhist scholars and it is not always easy to decide one way or the other without running the risk of being dogmatic; and the scope of my work was also too limited to allow me to indulge in very elaborate discussions of textual difficulties. But still I also have in many places formed theories of my own, whether they are right or wrong it will be for scholars to judge. I had no space for entering into any polemic, but it will be found that my interpretations of the systems are different in some cases from those offered by some European scholars who have worked on them and I leave it to those who are acquainted with the literature of the subject to decide which of us may be in the right. I have not dealt elaborately with the new school of Logic (Navya-Nyâya) of Bengal, for the simple reason that most of the contributions of this school consist in the invention of technical expressions and the emphasis put on the necessity of strict exactitude and absolute preciseness of logical definitions and discussions and these are almost untranslatable in intelligible English. I have however incorporated what important differences of philosophical points of view I could find in it. Discussions of a purely technical character could not be very fruitful in a work like this. The bibliography given of the different Indian systems in the last six chapters is not exhaustive but consists mostly of books which have been actually studied or consulted in the writing of those chapters. Exact references to the pages of the texts have generally been given in footnotes in those cases where a difference of interpretation was anticipated or where it was felt that a reference to the text would make the matter clearer, or where the opinions of modern writers have been incorporated. It gives me the greatest pleasure to acknowledge my deepest gratefulness to the Hon'ble Maharaja Sir Manindrachandra Nundy, K.C.I.E. Kashimbazar, Bengal, who has kindly promised to bear the entire expense of the publication of both volumes of the present work. The name of this noble man is almost a household word in Bengal for the magnanimous gifts that he has made to educational and other causes. Up till now he has made a total gift of about £300,000, of which those devoted to education come to about £200,000. But the man himself is far above the gifts he has made. His sterling character, universal sympathy and friendship, his kindness and amiability make him a veritable Bodhisattva--one of the noblest of men that I have ever seen. 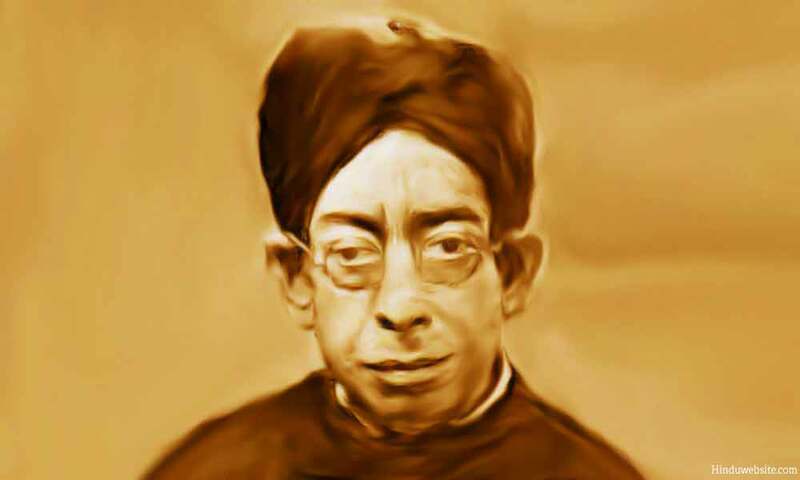 Like many other scholars of Bengal, I am deeply indebted to him for the encouragement that he has given me in the pursuit of my studies and researches, and my feelings of attachment and gratefulness for him are too deep for utterance. I am much indebted to my esteemed friends Dr E.J. Thomas of the Cambridge University Library and Mr Douglas Ainslie for their kindly revising the proofs of this work, in the course of which they improved my English in many places. To the former I am also indebted for his attention to the transliteration of a large number of Sanskrit words, and also for the whole-hearted sympathy and great friendliness with which he assisted me with his advice on many points of detail, in particular the exposition of the Buddhist doctrine of the cause of rebirth owes something of its treatment to repeated discussions with him. I also wish to express my gratefulness to my friend Mr N.K. Siddhanta, M.A., late of the Scottish Churches College, and Mademoiselle Paule Povie for the kind assistance they have rendered in preparing the index. My obligations are also due to the Syndics of the Cambridge University Press for the honour they have done me in publishing this work.